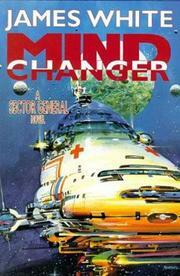 Another of White’s Sector General yarns (Final Diagnosis, 1997, etc. ), about a colossal multi-species space hospital. This time, chief psychologist O’Mara—-probably the most abrupt and antisocial being in the hospital—-has been appointed as the hospital’s administrator, but only until O’Mara can find and train his own replacement, after which he himself must retire. The key to O’Mara’s odd behavior, we learn, lies in his early career. The standard method of multi-skilling among physicians is for them to accept a taped brain impression from another specialist of a different species. Unfortunately, not just the skills transfer but the entire mental pattern. Kelgians resemble huge, furry worms; their fur twitches involuntarily to reflect their mental state, so the slightest damage to the fur renders them incapable of interacting socially with their own kind. In one of his first cases, O’Mara treated an unfortunate alien that had received a tape from a brilliant but fur-damaged (and hence dysfunctional) female Kelgian surgeon named Marrasarah. To understand the problem, and against all rules and regulations, O’Mara accepted a copy of the tape himself. Just as irregularly, he retained the tape after completing the treatment, and formed an unusual mental partnership with Marrasarah. This gave him a particular affinity for Kelgians and their distinctive psychology. Other successful encounters with Kelgians followed. Finally, in the present, while O’Mara interviews and studies possible successors, a problem arises. A Kermi called Tuneckis has lost its telepathic abilities on a conscious level, but unconsciously is projecting powerful feelings of despair, paranoia, and xenophobia. So its doctors and nurses helplessly become xenophobic and violent themselves. In solving this problem, characteristically, O’Mara confirms his successor. A rather dissatisfying entry, with numerous small, rather same-ish medical puzzles but no large conundrum to engage readers throughout. And an O’Mara of human dimensions is less gratifying than he was as a sort of animated thunderbolt.